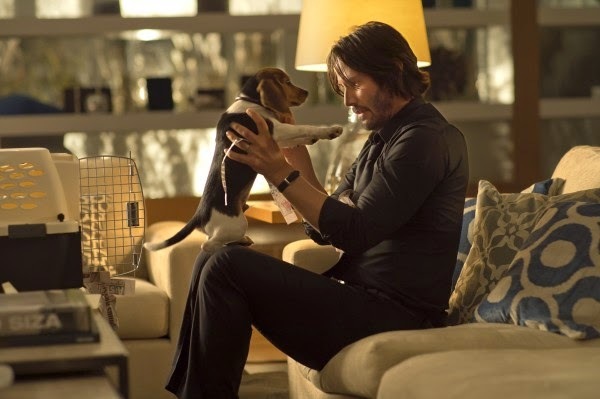 so taken by John Wick I felt compelled to write about it. I'm not going to bother with recounting the plot. You can find that anywhere. Besides, plots are for graveyards. Also, consider this the official SPOILERS AHEAD warning. John Wick is another entry in the tough-guy-coming-out-of-retirement-to-wreak-havoc genre. What sets it apart from lesser movies of this ilk is the style and care that obviously went into it. Perkins enjoys a drink between hits. The cast is top-notch. Keanu Reeves is so good it's almost as if he's a different actor. I don't know if it's because he's a bit older now, but he seems to have way more (cliche alert!) gravitas in this film. Mikael Nyqvist portrayal of crime-lord Viggo Tarasov brings complexity to what otherwise could be a standard villain role. Alfie Allen is at his sniveling best. Adrianne Palicki gives it her all as assassin Perkins. Equally good are the character roles: Willem Dafoe, Ian McShane, and John Leguizamo all prove the maxim that there are no small parts, only small actors. It was also great to see David Patrick Kelly on the big screen again. You might nor recognize his name, but you've surely seen his work. There are several homages to classic thrillers. In one scene, an extra is seen reading a copy of Trevanian's Shibumi, which is one of the great hitman novels. 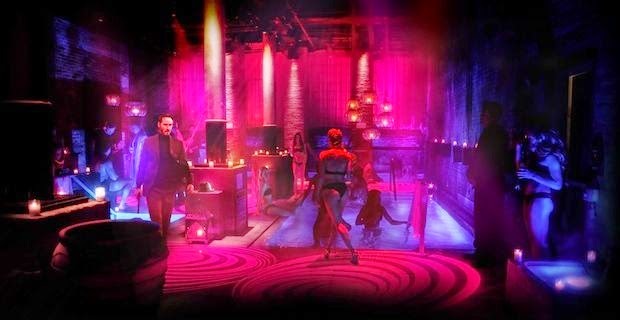 The concept of The Continental—a hotel that serves as a sanctuary for assassins and where no "business" can take place—echoes the Abelard Sanction safehouses of David Morrell's book The Brotherhood of the Rose. for one of the film's best action sequences: the Red Circle. In French, the red circle is le cercle rouge, which happens to be the name of an excellent crime drama directed by Jean-Pierre Melville. Melville also directed Le Samourai, one of the coolest, most influential hitman films ever made. The idea of the circle manifests itself not only in the name of the club, but in the film's dramatic arc. Early on, it is revealed that John Wick is largely responsible for creating the crime empire of Russian gangster Viggo Tarasov. Wick worked for Tarasov, but wanted to leave the criminal life to get married. Tarasov said Wick could make a clean break if he carried out a seemingly impossible assignment. Of course, Wick succeeded in his task, and from that Tarasov was able to built his extensive operation. Years later, Wick manages to destroy the same organization he helped to built. A red circle, indeed. While some critics have compared John Wick to John Woo, I think a more apt Hong Kong comparison would be Ringo Lam. Wick definitely seems to owe something to Lam's films, especially to Full Contact. Specifically, the ending of John Wick echoes the ending of Lam's great movie, which also happens to be my favorite HK action flick. A more recent influence is obviously the "Raid" films out of Indonesia. The Continental... Not your average hotel. not a full-on fantasy or SF film, the movie does seem to exist in its own reality. It's a place where well-dressed assassins pass the time in special assassins-only luxury hotels, doing business with gold coins. I was reminded of pre-Daniel Craig era James Bond movies, which also seemed to exist in their own alternate world where a bazaar in India hid the entrance to the MI-6 field office. While I love the current crop of 007 flicks, I must admit to missing that aspect of the series. The film is also incredibly cool and stylish. There is a very distinctive look to the movie, with great use of color and light. Wick's attire is a perfect addition to the pantheon of well-suited badasses. The soundtrack is very good, and really helps to set the film's tone. I was especially fond of the music contributions by La Castle Vania and Marilyn Manson. Perhaps my favorite song from the film is "Think" by KALEIDA. It's a spare, haunting song, and is used very well in the movie. Alas, the awesome Break Science tune "Brain Reaction" used to great effect in the film trailer does not appear in the movie itself. Of course, you can't discuss John Wick without discussing the action sequences. They are phenomenal, and among the best I've seen in a very long time. While the gunplay is incredible impressive, I was really taken by the martial arts. I can't recall ever seeing so much judo and Brazilian Jiu-Jitsu in a movie before. 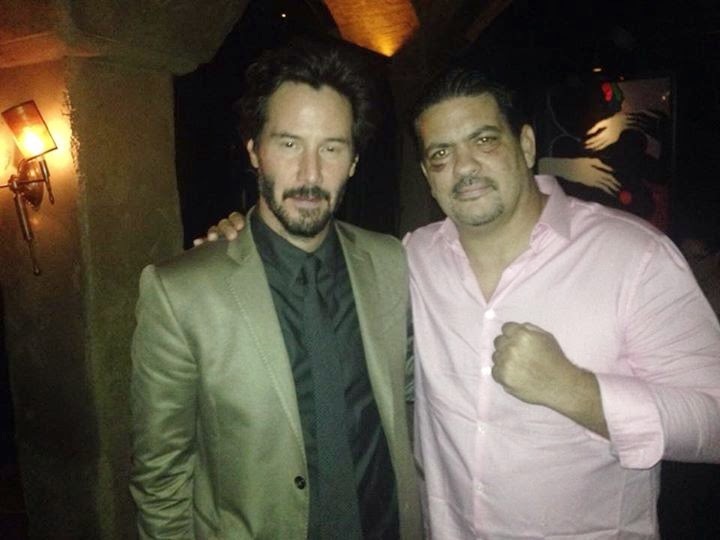 In fact, on of Reeves' trainers for the film was BJJ legend Rigan Machado, who said ""Even assassins like John Wick (Keanu Reeves) need Machado Jiu-Jitsu. Honored to teach him Jiu-Jitsu and consult for the movie." Particularly impressive was the fight between Wick and the enigmatic Ms. Perkins ( Adrianne Palicki). What struck me about the fight was that it was one of the few cinematic examples of a believable hand-to-hand combat between a male and female. Perkins used moves that made sense against a larger, stronger opponent. Daisy, a path from the darkness. past darkness into the light. John Wick lived in a world of darkness, escaping it through love. Yet when he lost that love, he once again plunged into the darkness. A ray of hope was offered in the form of a puppy, but that was taken away through cruelty and violence. As I've written before, you don't want to be the one who robs a man of his only source of light. The concept of trying to seek the light when surrounded by darkness is one that always fascinates me, hence my love of TV shows such as Angel and True Detective. 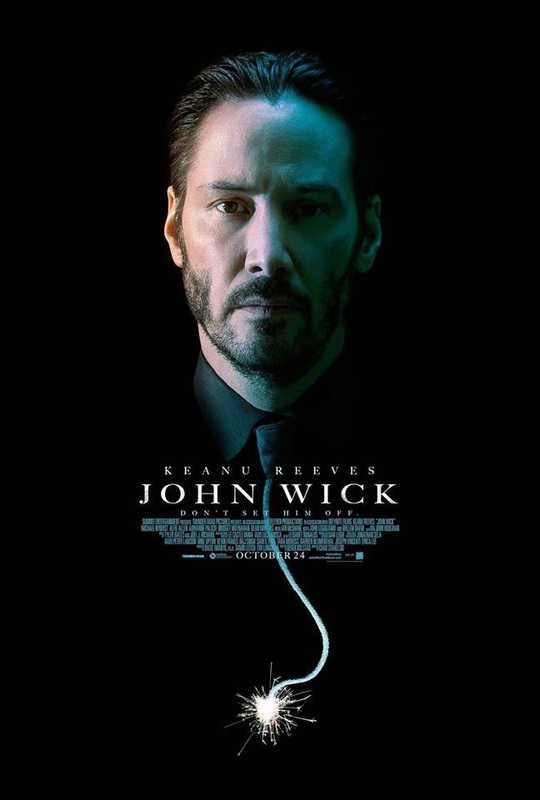 Good performances, cool music, great fight scenes, interesting themes, and stylish direction all came together to make John Wick not only one of the best action movies I've seen in a long time, but one of the best films I've seen recently. I enjoyed it so much I've seen it twice. Now if you'll excuse me, I think I need to work on my Jiu-Jitsu!